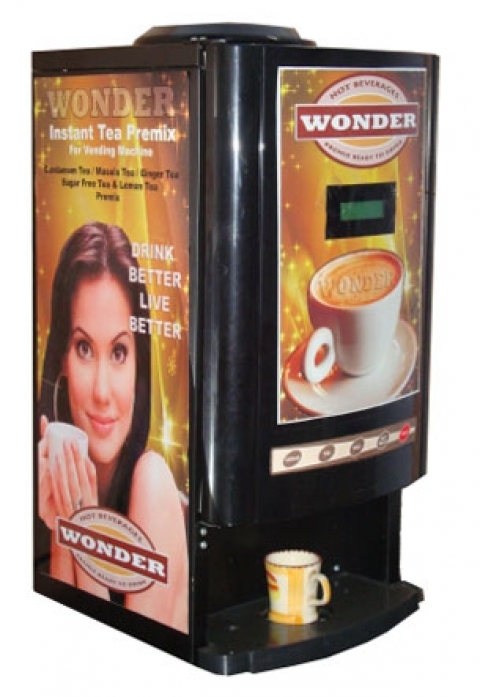 Wonder Beverages is one of the very few vending machine companies that produces a wide variety of quality premixes which taste just as the real thing. 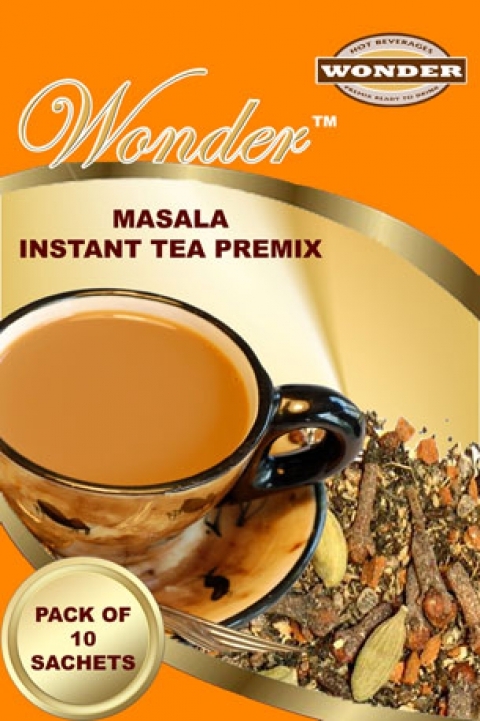 The wide variety of quality premixes available are Instant Tea premixes in natural flavours like Eliachi (Cardamom), Masala, Ginger and Regular, all time favourite Coffee Premixes, Black Lemon Tea, Badam Milk, Hot Chocolate & Tomato soup are also available. 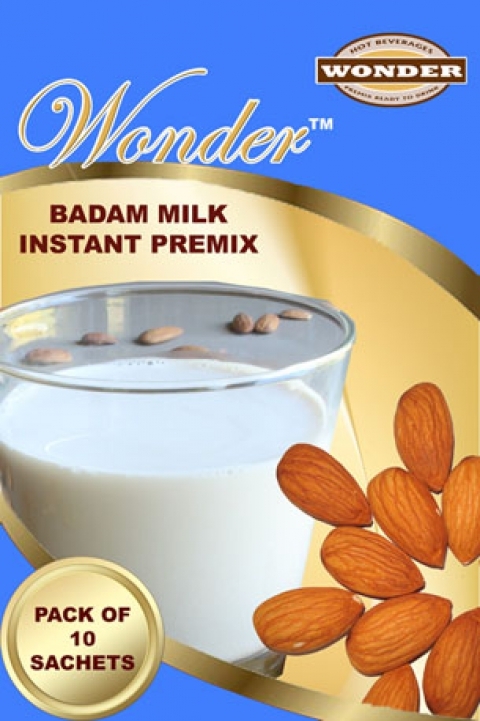 All above mentioned premixes are available in 2 sugar variants Sweetened and Unsweetened, in various pouch sizes such as 14gms. 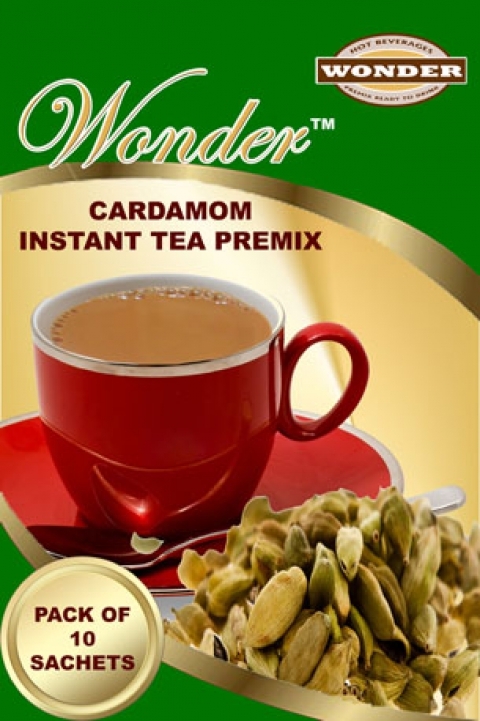 Sachet and 1kg packs. 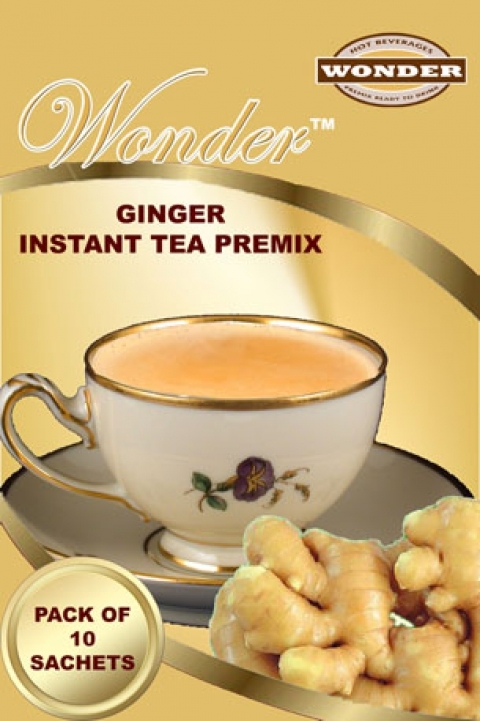 Wonder Beverages Premixes can be consumed " Anywhere, Anytime ", wherein the requirement is " Just Add Hot Water". 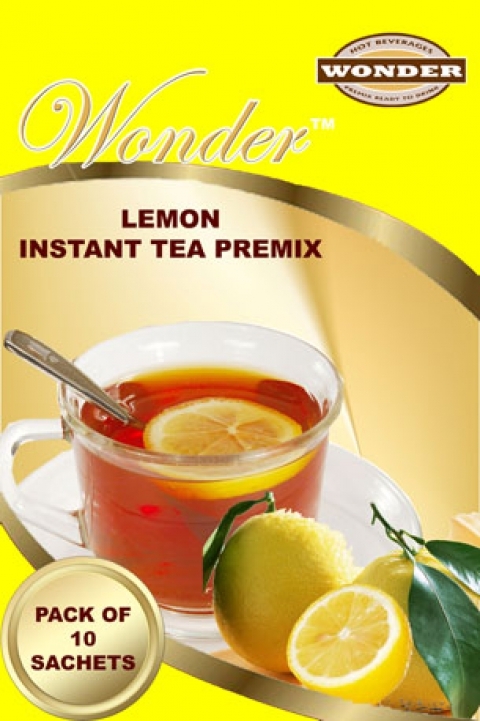 Wonder Beverages also specializes in making customized premixes for large quantities.